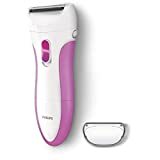 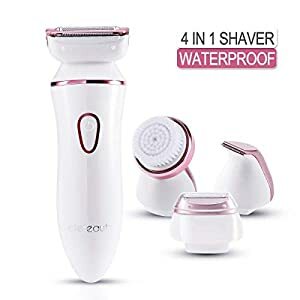 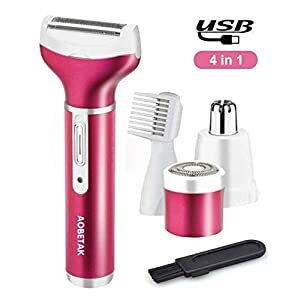 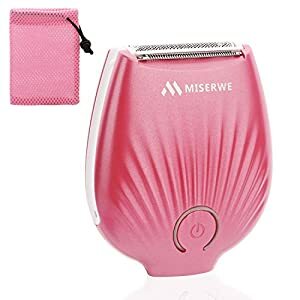 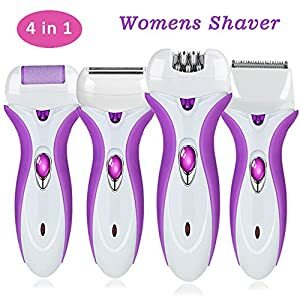 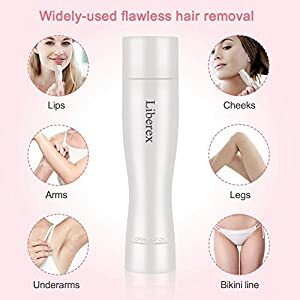 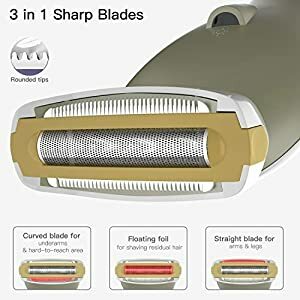 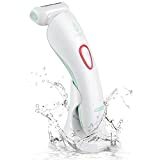 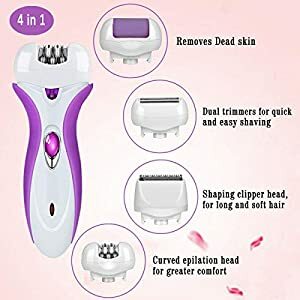 * 3-in-1 High Speed Shaving Head Straight blade works well on arms & legs; Curved blade works well on armpit/underarms, bikini lines and other hard-to-reach areas; floating foil works best for trimming stubble to ensure safe but safe shave. 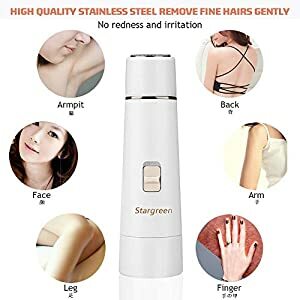 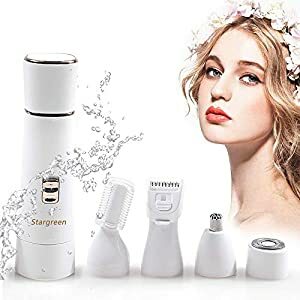 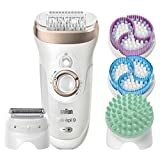 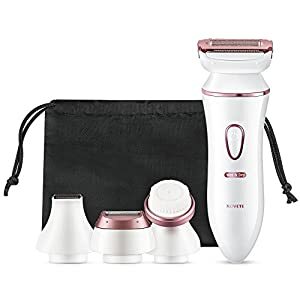 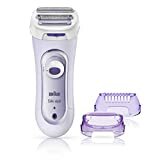 * Hypo-Allergenic 3D Floating Foil High quality hypo-allergenic stainless steel blades and floating foil allow optimum closeness on body curves & contours to get fast and smooth trimming and minimize pressure and irritation on sensitive skin. 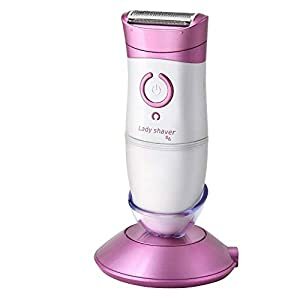 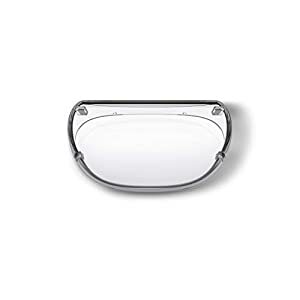 * LED Light for Blind Spots Illumination Built-in LED light reveals even the smallest hair to be seen clearly and ensures extra thorough hair shaving & trimming. 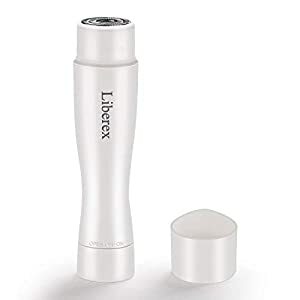 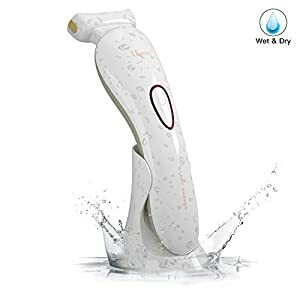 * Wet and Dry Use IPX7 water resistant and sure-grip handle allow 100% washable and complete control while using on dry skin or in bath/shower. 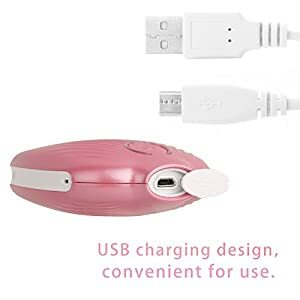 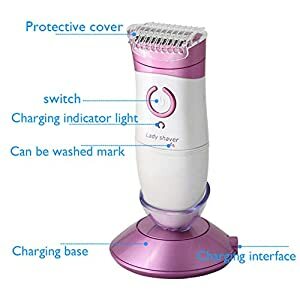 * Fast & Convenient Charging Charge the shaver via charging stand or by directly connecting USB charging cable to power source. 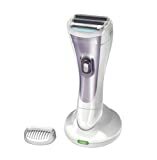 Charging indicator will be red when charging and the rechargeable battery provides 60 minutes of cordless use.